Inspiring, enabling and connecting philanthropists and social investors to create a better world. The Global Philanthropists Circle (GPC) is a community of leading philanthropic families and social investors using their time, influence, and resources to fight poverty and social injustice in their own countries and around the world. Founded in 2001 by Peggy Dulany and her father, David Rockefeller, the GPC increases the impact of members’ philanthropy and allows them to become more effective social investors by offering opportunities for learning and collaboration. The Global Philanthropists Circle is a community of over 300 philanthropists and social investors from more than 30 countries. Members exchange ideas to better understand poverty-related issues, share the successes and challenges of their philanthropic experience, and inspire one another as leading global changemakers. The GPC is a safe space where members seek and give input on difficult choices and complex questions. Many members say that meaningful connections are the most valued aspect of their participation in the network. Circle membership is open to all members of the family. Inter-generational giving, the transfer of values, and family dynamics are regular topics of discussion and learning. Next Generation gatherings provide an opportunity for emerging philanthropists to share experiences on topics of interest to them and discuss their unique role in their family’s philanthropy and social investment. Programs include overseas learning journeys, workshops, site visits, week-long reflective retreats and informal gatherings designed to help members maximize peer learning. Members convene every year for Annual Meetings in Europe and United States. 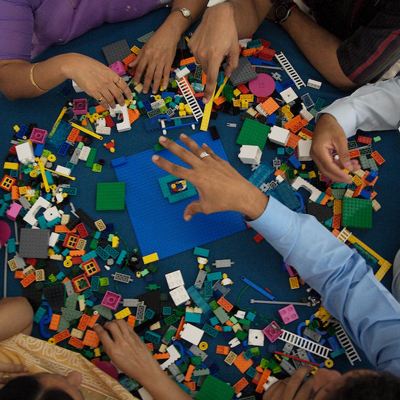 Circle members have access to the tools and knowledge of Synergos’ unique, holistic approach to fostering collaborations, building trust, and implementing change processes that contribute to the scale and sustainability of social impact. The Synergos approach uses four elements to increase individual and collective effectiveness to address complex problems: personal reflection, systems thinking, bridging leadership, and collaboration. The GPC encourages philanthropists to bring their whole selves to their philanthropy: their skills, connections, influence and willingness to listen. 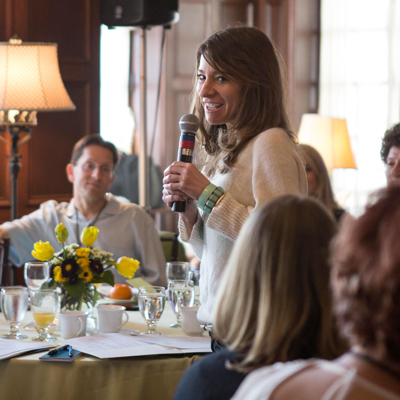 Retreats and reflective sessions provide ways for philanthropists to find their passion, understand their purpose and bring their heart, as well as their head, to their philanthropic work. A dedicated Synergos staff person provides each GPC member with tailored support and counsel to help them meet their philanthropic and social investment objectives, as well as to improve their capacity as changemakers. Through Synergos Consulting Services, members can also receive more intensive support on a fee-for-service basis. Bridging Leadership for Social Investment is a program for emerging philanthropists and social investors. 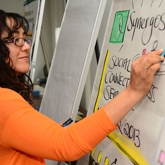 To tackle complex and systematic social inequalities, participants learn how to embrace systems change, bridge gaps, and collaborate with multi-sector stakeholders including government, private sector and civil society. Affinity Groups enable GPC members to come together for learning, inspiration and action around issues such as food systems, next generation philanthropy, the Syrian refugee crisis, impact investing, and spiritual civilization. 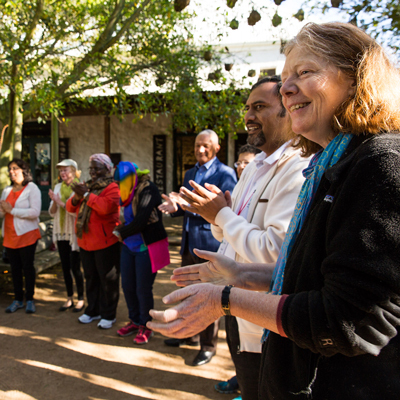 The Global Philanthropists Circle hosts learning journeys, workshops, site visits, week-long reflective retreats, and informal gatherings in a variety of locations around the world. Activities are designed to help members maximize peer learning and exchange in order to increase their own social impact. Membership in the Circle is by invitation only. A member of the GPC team will discuss the terms and benefits in more detail, so that Synergos and your family can determine whether participation in the Circle is appropriate for you.